Benoy is honoured to announce that Parc Central has been recognised with the top award at the International Council of Shopping Centers (ICSC) China Awards this year. 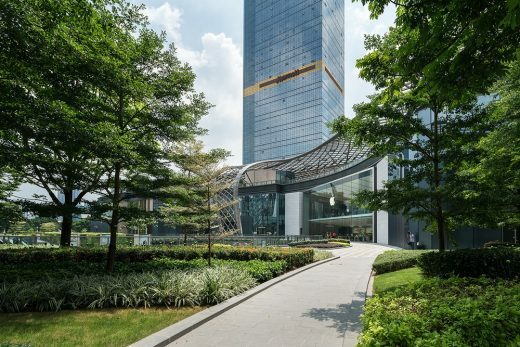 Presented at a gala event in Shanghai on 6 April, Parc Central in Guangzhou was presented with the Gold Award for Design and Development (New Development) by the ICSC. Parc Central was celebrated as one of Benoy’s biggest openings in 2016. 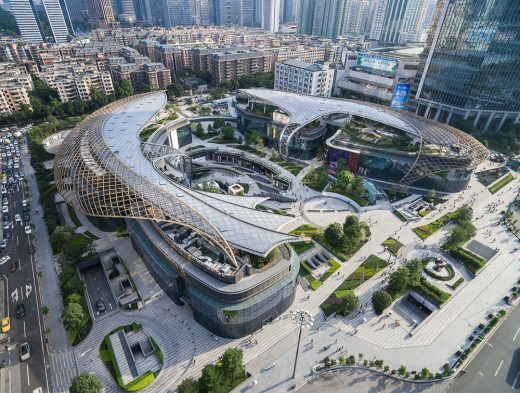 Set in the heart of Guangzhou’s new Central Business District, the development established a new typology for the Pearl River Delta city; a green ‘Stadium for Retail’ which uniquely blends a low-rise shopping scheme within a multi-level parkland. 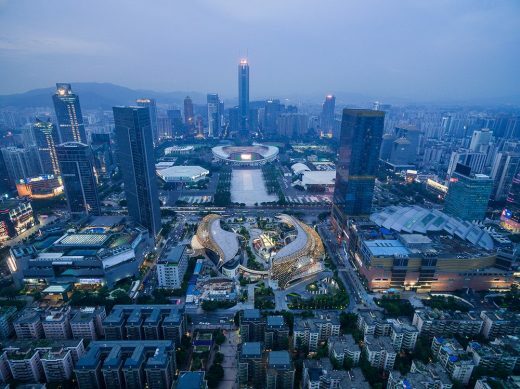 Benoy’s Team delivered the Masterplan, Architecture and Interior Design for the development and combined retail, transit-oriented and public realm design strategies to deliver the compelling addition to Guangzhou’s cityscape. The development has been recognised by a number of industry programmes including the China Property Awards, A&D Trophy Awards and MIPIM Asia Awards. The ICSC China Awards Programme launched in 2015 under the ICSC Global Awards. The awards have been designed to recognise excellence, innovation and creativity within China’s retail real estate industry honouring outstanding achievement in the design and development of retail properties and stores. 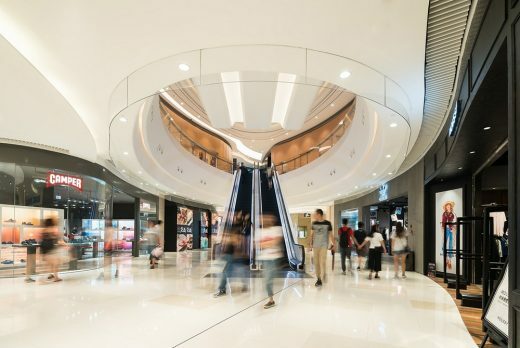 Winners of the ICSC China Awards receive automatic entry in the ICSC VIVA Awards, the global program which recognises the shopping centre industry’s most cutting-edge properties, innovative solutions and creative responses to market trends. The ICSC VIVA Awards are presented during RECon, the global retail real estate convention, held in Las Vegas. 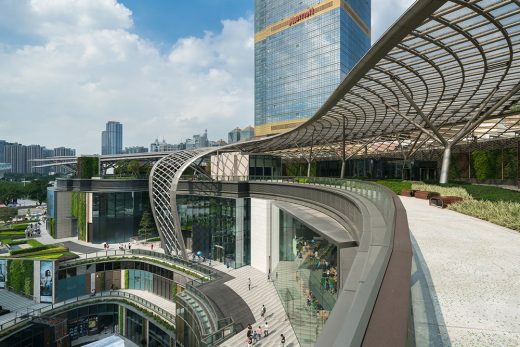 Benoy is excited to announce that construction has completed on Parc Central, Guangzhou and the urban park retail development has now fully opened in the heart of the city’s Central Business District. 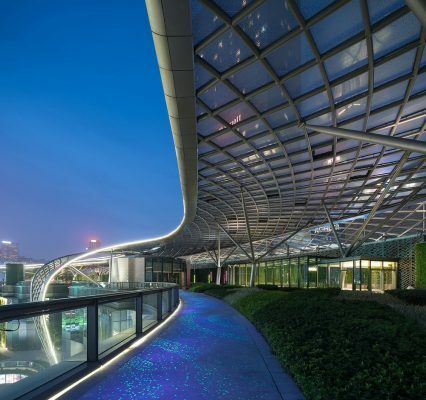 Benoy was commissioned as the Masterplanner, Architect and Interior Designer on the scheme and delivered the project in collaboration with Ronald Lu and Partners. 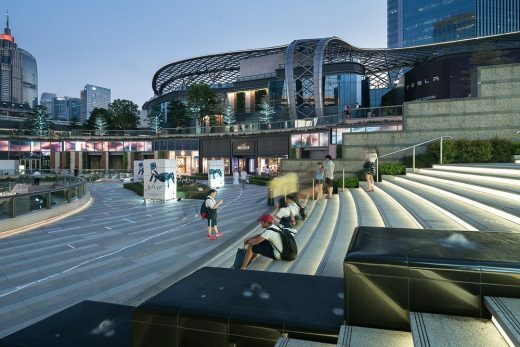 Set in the heart of the Guangzhou’s new Central Business District, Parc Central has introduced a new typology to the burgeoning Pearl River Delta city; a ‘Stadium for retail’ which uniquely blends the low-rise above and below-ground retail development within a multi-level parkland. 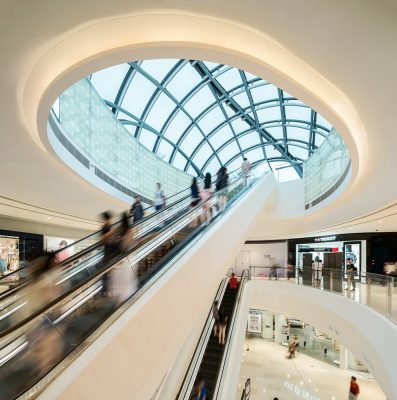 Positioned along one of the city’s major thoroughfares, this development is a compelling addition to the cityscape of Guangzhou, and combines retail, transit-oriented and public realm design strategies. Developed on the site of a former square, the vision for Parc Central was to contribute socially and spatially to the city, as well as economically. 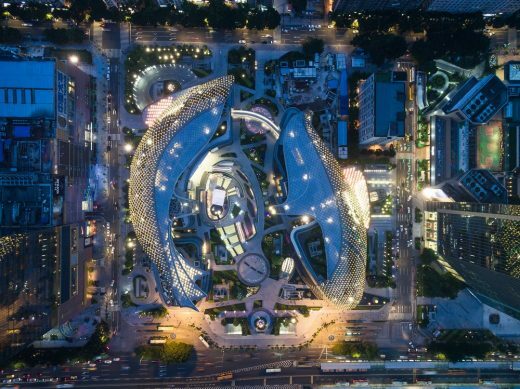 Located along the city’s ‘Green Axis’, the vision for Parc Central was to form the focal point of this initiative and create a new ‘Central Park’ along the major Tianhe Road thoroughfare which dissects the city. The result is a distinctive 110,000m2 retail development which is designed around an open parkland environment. Forming the heart of the development, the landscape, with its varying levels and forms of greenery, has created a place to socialise, rest and relax; a ‘Place to breathe’ within the city centre. Much of the development has been placed underground to achieve this and preserve the ground level environment. The gardens, planted walkways and living walls create an undulating green space which integrates not only with the development itself but the surrounding streetscape. Ultimately, the design offers a soothing and re-balanced environment to the Tianhe district. Parc Central is a low-rise building, standing 24m in height with two levels above ground and three levels underground. Being lower than the surrounding buildings, the design called for an eye-catching and powerful visual statement; one which would add to the rhythm of the city’s central axis. Drawing on the symbol for peace, harmony and fortune in the Chinese culture, the architecture references the ‘Double fish’ in the form of a steel monocoque roof structure. The two buildings curve around the central gardens and are joined by a pedestrian bridge at one end. The monocoque roof canopies are supported by tree-like columns beneath which sit a series of gardens which extend the landscape element up the building. 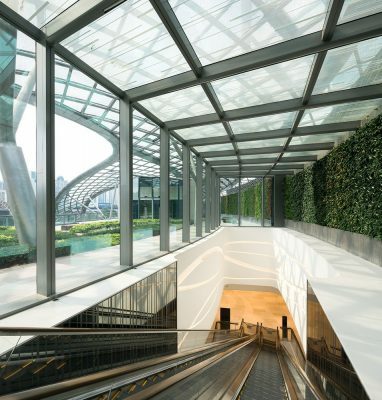 Sustainably designed, Parc Central’s environmental performance is also enhanced through the addition of a rainwater collection system and low-E glass façades and an EFTE roof. Benoy’s Interior Design Team has also introduced the geometry of the architecture, with fluid ceiling cove forms and uninterrupted joinery along the void edges. Large atriums punctuate the retail journey and draw light into the arcades. A neutral colour palette of white and reconstituted stone creates a natural background for the mall, showcasing its tenants and their merchandise to maximum effect. 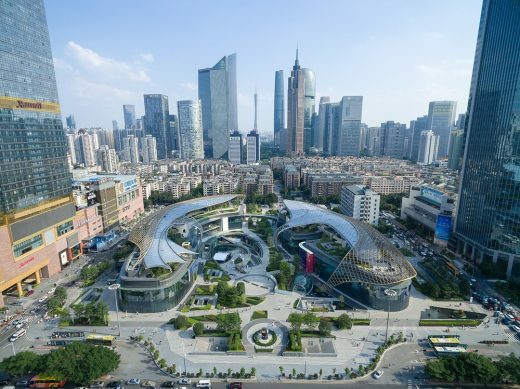 As a true Transit Oriented Development (TOD), the 110,000m2 scheme also establishes a new public transport interchange for Guangzhou. 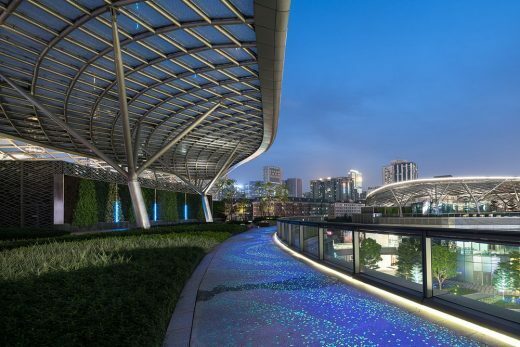 Seamlessly connected above and below ground, Parc Central will be accessible via China’s metro system and bus network and is linked by overhead footbridges to the district’s neighbouring developments. The design enables the development to function as a multi-dimensional gathering space with convenient accessibility above, below and at ground level. Parc Central adds to Benoy’s growing portfolio in the exciting Pearl River Delta Region and is Benoy’s first completed TOD scheme in Guangzhou. 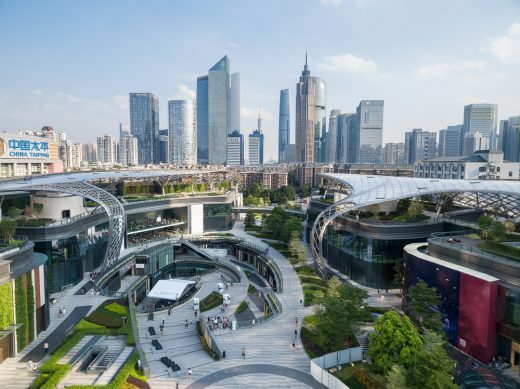 Benoy has previously worked with leading Hong Kong property developer Sun Hung Kai on a number of schemes which include the Shanghai International Commerce Centre (ICC), Shanghai International Finance Centre (IFC) and APM in Hong Kong.